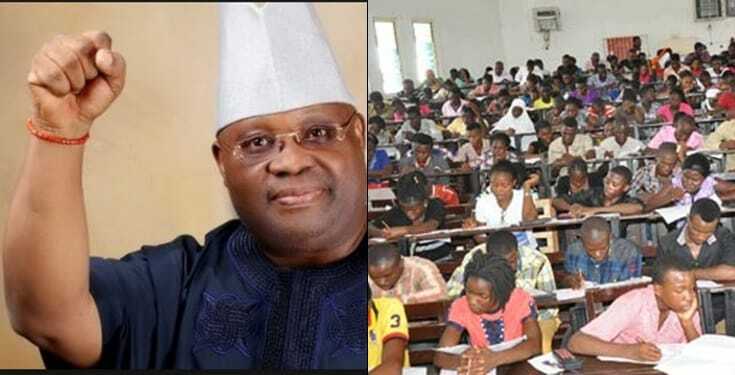 The observers that were brought under the watchful eye of a Federal high court in Abuja on Wednesday have said that Senator Ademola Adeleke was not in examination corridor amid the period the National Examination Council (NECO) held. The observers Odesola Emmanuel and Adigun Akintayo were displayed by the arraignment to the court as the PW3 and PW4 separately, Premium Times reports. He was in 2018 arraigned before the court on allegations of examination malpractice and certificate forgery. He was arraigned alongside the principal of Ojo-Aro Community Grammar School, Aregbesola Muftau; the registrar of the school, Gbadamosi Ojo; and a teacher in the school, Dare Samuel Olutope, as well as Sikiru Adeleke. The police accused them of fraudulently registering Mr Adeleke and another Sikiru Adeleke as students of Ojo-Aro Community Grammar School in Ojo-Aro, Osun State, for the National Examination Council’s June/July 2017 Senior School Certificate Examination in February 2017. But while testifying against the senator before the court on Wednesday, the PW3, Mr Emmanuel, a teacher at Ojo-Aro Community Grammar School in Egbedore Local Government Area of Osun state, who supervised the NECO for June/July 2017, said he was not given the school album to enable cross check the candidates by the name and picture. He said he knows Mr Adeleke as a public figure in Osun State but did not see him in the hall of 60 candidates that only 58 sat for the exam.